Words can influence how we think, feel and even act. And so, as we embrace person centeredness and strive to approach the development of more person-centered practices in our work, we know that how we say what we say can make a difference in what people do! 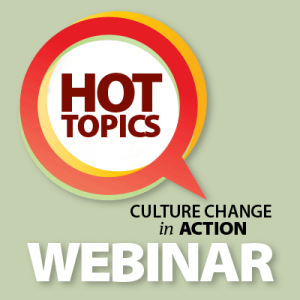 Join us for the first Hot Topic Webinar of 2017 where Joan Devine, Director of Education for the Pioneer Network and author of “Word of the Week: Building A Culture Change Dictionary” will guide you on a journey to discover words and phrases that can make a difference as we work to change the culture in our communities, and to change our own perceptions about aging and the work we do. 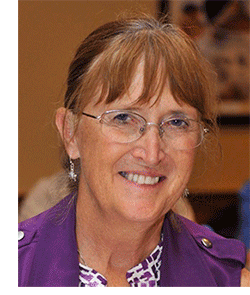 Identify the influence that language has as we work to change the culture of aging. Understand some of the words currently used that impact perpetuate the institutional culture. Understand new words that can be used that support a person-centered culture.